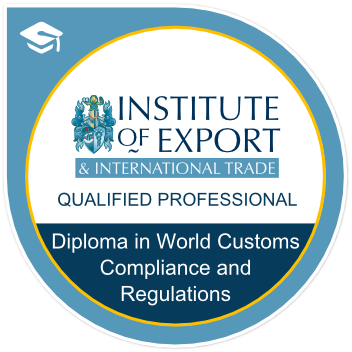 Earners of the Diploma in World Customs Compliance & Regulations badge understand in detail the procedures involved in dealing with trade from the UK to outside of the EU, UK to the EU, & customs procedures within the UK. They understand the structure of tariff & tariff controls, rules of origin, EU Preferential Trade Agreements, EU Customs Union, benefits of being AEO approved. They are able to efficiently declare goods to HMRC, identify & apply for export/import licences & reliefs. International Agencies' & Organisations' Non-Proliferation Policies And Initiatives.